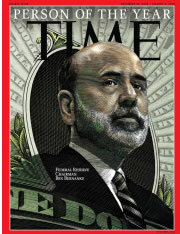 Bernanke in large part the architect of the financial crisis has now been awarded the prize of "Person of the Year" by Time Magazine. The award amounts to the icing on the cake for what has transpired over the past 12 months that has witnessed academic clueless economists in the mainstream press flailing in all directions in an attempt to be all things to all people. Right from the early stages of the post Lehman's bust in praise of money printing which I criticised at the time in the article (Bankrupt Britain Trending Towards Hyper-Inflation? ) right to the present, the mainstream press by its continuous stream of contrary content illustrates that it exists purely for the sale of advertising space rather than any real in depth analysis. Much of the coverage is tantamount to regurgitating worthless press releases which I pointed out in March 2009, when the Telegraph forecast a further 55% crash in UK house prices, RIGHT AT THE BOTTOM of the UK housing market (Telegraph Runs with Improbable UK House Price Crash Forecast of Another 55%). 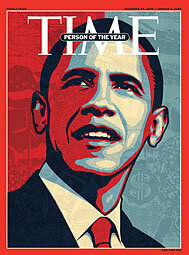 Now we have Time magazine awarding the culprit in chief coupled with his predecessor Greenspan for being the most responsible for bringing the crisis about by repeated policies of inflating ever larger bubbles. 2009 - Bernanke - Responsible for Creating the Economic Crisis. Has destroyed the U.S. Economy. 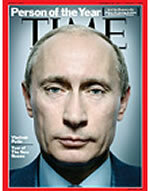 2007 - Putin - Ex- KGB Thug and the defacto Dictator of Russia, who holds Europe to Ransom over gas supplies. 2006- You ??? 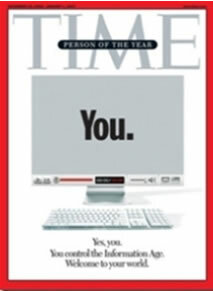 - Devoid of intellectual thought, everyone who can click a mouse wins for 2006. 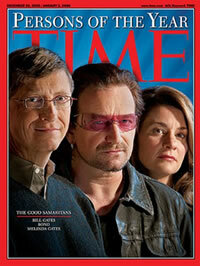 2005- Bono, Melinda Gates & Bill Gates- The Good Samaritans win for 2005. 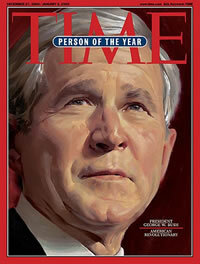 2004- George Bush- Advertising revenues clearly determined the winner for 2004. Bush was the worst disaster to hit America during the past 100 years, and likewise ended his presidency with the greatest recession since the Great Depression.